Would You Play An OnlineTiger Woods Game, With Microtransactions? Well, would you? Best come up with an answer, because EA are looking at releasing such a game, announcing it during an address at the Goldman Sachs Technology and Internet Conference in San Francisco. This year, we're going to come out with a dedicated online Tiger product… that will be a leader in this move to become an online service company, as opposed to strictly a software shipment company. This will be a new product, not just the PC version of the existing series, and Pleasants adds that its funding will be heavily reliant on microtransactions. Like - and we're just wildly speculating here - $1.00 for a new Nike Tiger Woods golf shirt. $5.00 for a new Nike Tiger Woods driver. 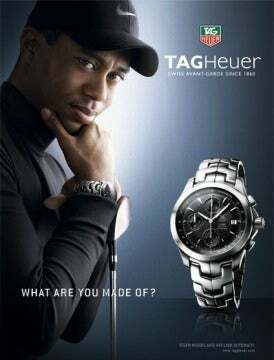 $2.00 for a new Tag Heuer Tiger Woods wristwatch. $0.50 for a mulligan. That sort of thing. Actually, that doesn't sound very wild at all. It sounds downright plausible.